Wow – it’s already the second advent tomorrow! 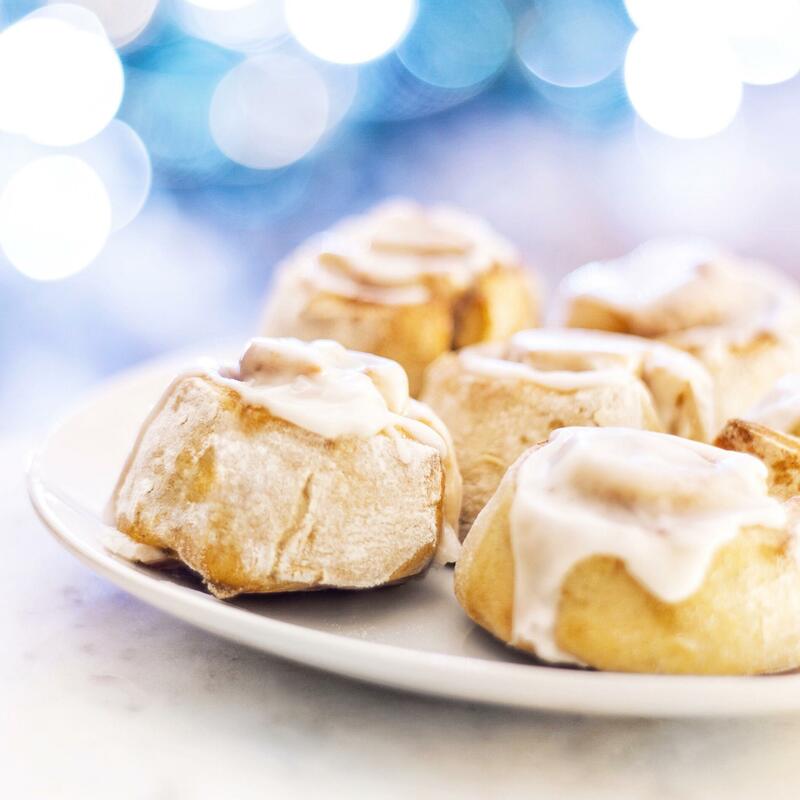 About time for me to upload a new Christmassy recipe – and what would be more inspiring than some Cinnamon Rolls? 1. Mix the milk with the vanilla extract, the lemon juice, instant yeast and 2 tbsp flour. If everything is mixed well, add 2 more tbsp flour. 2. Add the sugar and the salt and mix with the remaining flour. 3. Knead the dough on the kitchen counter for about 5 minutes. Return it to a bowl and cover it. Leave the dough in a warm place for about 2 hours. 4. After 2 hours roll the dough into a rectangular shape, about 1.5cm thick. 5. Brush the dough with the coconut oil. In a small bowl mix the sugar and the cinnamon and add this mixture to the coconut oil. 6. Roll the dough and use a large, sharp knife to cut the cinnamon rolls (about 3cm thick). 7. Leave the cinnamon rolls for another hour on the baking tray and bake them for about 12 minutes at 180 degrees. 8. Mix the ingredients for the glaze and add the glaze and the pecans to the rolls. Find more delicious vegan Christmas recipes here! Looking for more recipe inspiration? Make sure to follow my Instagram!